Heartsdesire: Are Disposables Just Pants? I'm talking about disposable nappies/diapers! Just this week, Brian and I worked out, that to nappy a child for three years in Ireland costs just over €2000! Wow, isn't that just crazy...no wonder people think they can't afford to have more children! When I was a child those who couldn't afford disposables, used terry cloths folded and pinned, usually with a pair of plastic pants on over the top to prevent leaks. There are some terrible photos of me lurking about as a toddler, in my terry nappy, complete with plastic pants and a frown! But in 2011 when the majority can "afford" disposables who would want to launder soiled nappies?! ...Well me! When weighing up the astronomical cost €2000 per child, all of us should be at least considering reusable nappies/diapers. To be honest when I was expecting Meg, I did think about using them, but I was totally put off by the amount of choice...it all seemed confusing, and I did not (and still don't) know anyone outside the blogging world that uses them who could help me! But with €2000 of my hubby's hard earned money hanging in the balance I've decided to give them a go! I'm a first time mum and experimenting with reusable diapers as well. So far I have figured out that it's better to use disposable ones during the night time, they keep the baby more dry (and asleep. But otherwise I have had a positive experience. I keep a bucket filled with water with some vinegar and put the dirty ones there to wait for washing (I clean the poop first to the toilet). Since the new cloth diapers are quite pricey, I have bought some of them second hand (either from stores or from friends). I hope you have a good experiment! mrs. Hanna K.
Hanna ~ I've made a mental note about the vinegar/water! Thank you for your comment! Don't use vinegar if you have hard water though! It reacts with the urine and causes rashes. Using cloth is really not difficult. I prefer a wet pail because when you let them sit for more than a day (I prefer to wash every other day) they start to stink really bad and it becomes difficult to get the smell out. But you can use either a wet pail or dry pail/bag. I have my diaper station set up in the bathroom and for wet diapers I just toss them in the pail. For poopy, I bought a bunch of the baby wash cloths from the dollar tree. (Don't know if you have that there, but cheap washcloths or old flannel blankets cut into wipe size works fine) I just get them wet with warm water. If I have time to let the water warm up :) I just toss everything in the toilet as I go and after I'm done with baby I clean the diaper and wipes off and toss them in the pail. Some people just shake the diapers off into the toilet. There are also some fancy sprays that attach to the toilet. If you look online you can find DIY ones that are inexpensive and easy to do. (I've done it and I'm not a very "handy" type person) I prefer to just dunk and rub together til it's clean enough for my liking. Then I WASH my hands :D lol! Breastfed exclusively baby poo doesn't have to be rinsed or anything, just toss into the pail and it washes away just fine in a regular wash. I don't use any special wipe sprays or anything, but there are tons out there! When I do I usually just do a mix of baby oil or lanolin with a bit of baby wash. Whatever kind I have on hand. If you use oil though you have to wash the wipes separately from the diapers as the oil will coat the diaper and make it less absorbent. For diaper rash creams, you can't use desitin or anything like that. I make my own with coconut oil (antifungal, moisturizing), raw shea butter (healing) and arrowroot powder to thicken to the consistency I like. If you use a 100% cotton pre-fold type diaper you generally won't have to worry about stripping your diapers very often, but any other materials or AIO's you need to strip around every 4-6 weeks. Or just when they seem to be stinky more than usual or repelling. To strip...add a small squirt of Dawn (the original blue kind) and wash on HOT. Then run through 4-5 more wash cycles on the hottest, longest cycles. Great advice from Twinkle Toes. We used cloth. My favorite of all was Charming Charlie brand (so easy to use and inexpensive compared to other brands of similar styles). I know you bought yours already, but someone reading my need a recommend. I used our cloth all day, and night. I just put in a doubler at night to soak up anything else. Our super heavy wetter first son even went through the night with cloth. If you ever want to go cloth at night, you could buy just two of a good night diaper if Meg wets a lot. You could buy hemp and add a woolie over it. That makes for a very good night diaper. I have a few questions still, that I hope someone may be able to answer: is the one I've ordered a "pre-fold"? If not what is it? And we don't have "dawn" here I think...if you could perhaps let me know what it is then perhaps we have an alternate that I could use. Thank you for the links Taryn! I'll check them out as soon a I can! LOL...I guess it was a bit long winded huh?! :D It does seem overwhelming, but once you're actually doing it it's no big deal. From what I can tell the diaper you're using is an AIO. All-In-One. But I could be wrong. A prefold is simple a rectangular diaper that is already prefolded into thirds so the middle layer is super thick and absorbent. As opposed to a flat which is just one layer of material that you have to fold to get the thickness. Both require a cover. Because there is no wet proof layer on them they wash and dry a little better than AIO's. Greenmountaindiapers.com is a good link, but there are plenty others if you want more let me know and I'll find them for you. Dawn is a liquid dish-soap. I have no idea what they sell internationally that would be comparable. Basically is a really good de-greasing soap though that will break down any build up on diapers. I believe you can just do 5-6 washes on HOT if you can't find "Dawn" and it will still work. I've heard of other people doing that, but I have Dawn so I use it :) If you don't have hard water you can use vinegar and I have heard that helps with the build up as well. I have hard water so I can't use it. I haven't read all the comments but it looks like you got some great advice. I like kellyscloset & greenmountdiapers for information. I learned a lot from those places. 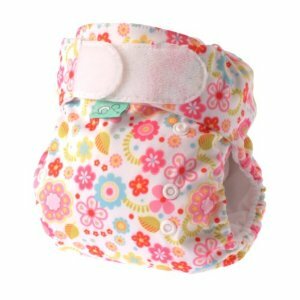 Also, diaperpin.com, has reviews of all kinds of cloth diapering products, including cloth diapers (CDs). I was going to use CDs for my 3rd child but I just didn't have the funds up front. So we did it for my 4th child. And I decided to go w/pocket AIOs, FuzziBunz. However, my little girl had a slight reaction to the microfiber. So I had to sell those & do a lot more research. I decided to go w/100% cotton b/c I'm not doing cloth diapering for just the savings, which is huge as you've already noted, but for health reasons. You can also research that but it really isn't good for babies to have those chemical filled disposable nappies on all the time. So I bought my favorite diaper, Tiny Tush, off Ebay. It's a 100% cotton & a fitted diaper. So she's still wearing those & started wearing them when she was 6 months old. I think the next time I would go w/prefolds for 0-6 months & then use either fitted cotton diapers or cotton diapers that need to be pinned. I just recently bought 2 flannel diapers made by a Mom, here in Texas. She has a great site where she sells things she makes & then items companies make. Hers have to be pinned but the diapers & pins were around $8, b/c the diapers were on sale so $2 less than normal. That is such a great price for cloth diapers. I really liked the prints, she included a cotton insert (it's a pocket diaper) & I think it absorbs the urine well. Though, IMO, cotton is the best for cloth diapering. If you go read @ greenmountaindiapers.com, you'll learn all about why she thinks cotton is the best. I, also wanted to not only use cotton but buy from companies who make the diapers in the U.S.
A friend of mine, she does the newsletters for HEN, Emily uses cloth diapers. She started on her 4th child & she just had her 5th child in August. I can give you her e-mail so you could ask her where she buys since she is in Ireland. Cleaning is no big deal. I do strip mine every 3-4 months, which some of your commentators already told you about, to remove build up. I wash every 2 days, sometimes more depending on many bowl movements she has. She is potty training right now, her own idea, so we're going longer between washings. I use Charlie's Powder for detergent, all natural ingredients. Since I'm always washing, at least it feels like that, diapers didn't add to my work load all that much. I sun dry as much as possible. I use wet bags, though I know some who like to use pails as other people have told you how to do that. I love my Thirsties diaper covers. They've worked really well, and it's rare that anything escapes them. Okay, hope all that info. helped. E-mail me any time w/questions.